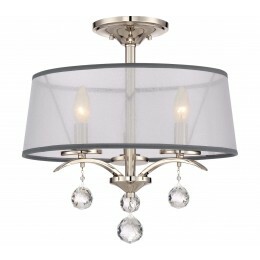 With European design and hints of Contemporary styling Whitney is a beautiful collection for your home. 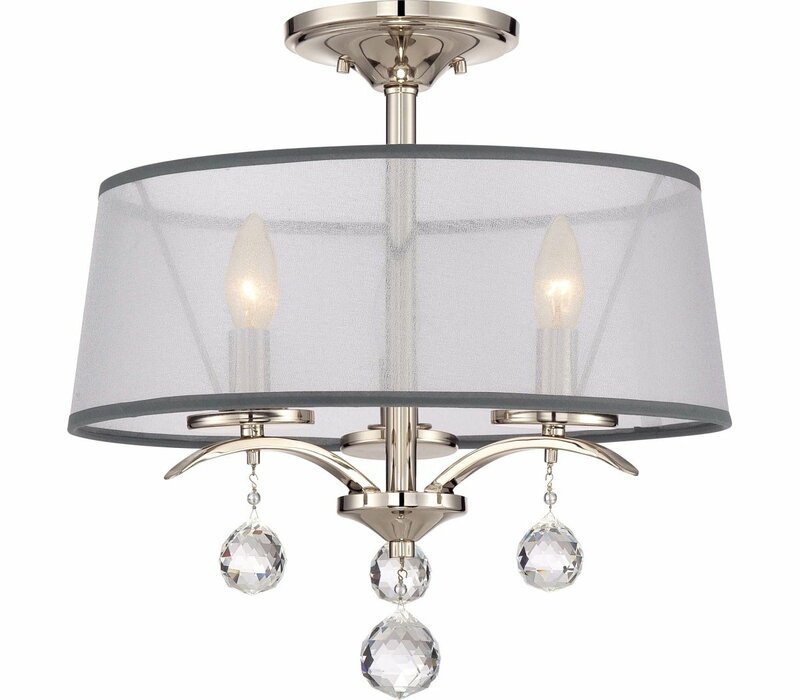 The Imperial Silver finish bounces the light and highlights the downward curving arms with hanging crystal accents beautifully. The white sheer organza shades are trimmed in dark grey for a sophisticated and dramatic appearance. 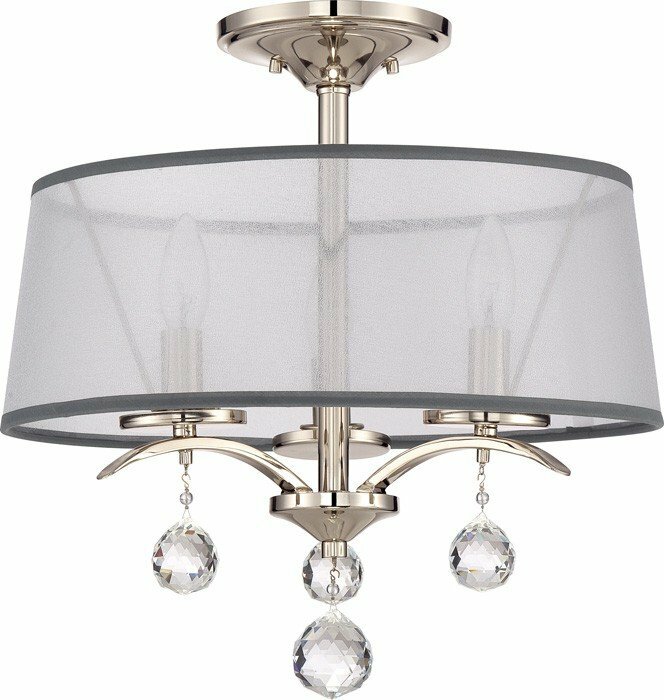 The Quoizel WHI1716IS Whitney collection Close to Ceiling Lighting in Imperial Silver uses Incandescent light output and brings Contemporary style. This item is 16.5"H x 16"W x 16"L. The wattage is 60. 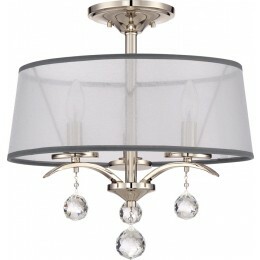 The Quoizel Lighting WHI1716IS requires 3 bulbs (not included). Additional Information: Shade-WHITE ORGANZA SHADE.